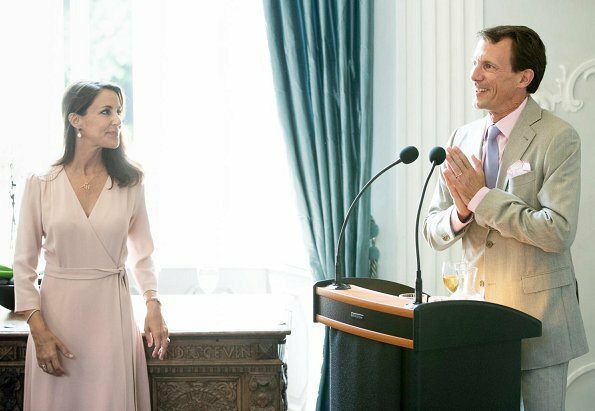 On May 29, 2018, Prince Joachim of Denmark and Princess Marie of Denmark held a reception for representatives of the charities they support. 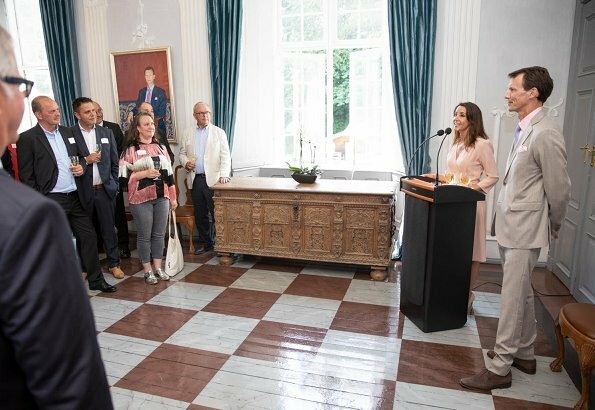 The reception took place at Schackenborg Castle in Jutland. Schackenborg Castle is the former residence of Prince Joachim and Princess Marie and their family. It is now owned by the Schackenborg Foundation. The foundation was founded on June 30, 2014 by Prince Joachim. this outfit looks super on Pss Marie,this pale pink or lavender,is very spring like dress.She Marie looks great, busy Lady. Very pretty and feminine dress. She looks great. Lovely pastel colour and beautiful shape of this dress work wonderfuly on Marie. Great look again! Princess Marie looks fantastic. She is lovely. But in this dress she looks absolutely amazing and elegant, it fits (!) her perfectly and the pastel colour is lovely to her. One of the best outfit I have seen Marie wearing for a very long time! Pretty dress - I like this blush pink colour. 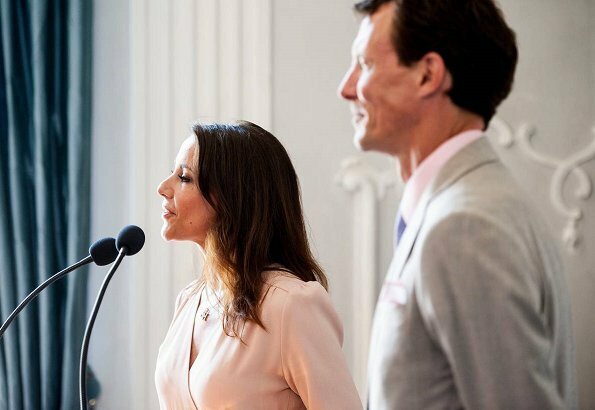 Very wonderful royal couple of Prince Joachim and Princess Marie of Denmark. I. Want. That. Dress. Its very feminine and pretty dress. With right accessories you can wear it for a variety of events over the spring/summer season. Wunderschönes Kleid. Ich hätte es auch gerne. Warum? Wickelkleid, 3/4 Arm, knieumspielende Länge, lockerer Fall beim Rock, zartes Pastellrosa, gut zu kombinieren. Ein Winner für jede Frau. Die Accessoires sind dezent und schön. Kaufen Sie sich's doch, Catchi, vielleicht ist es ja gar nicht sooo teuer? This would have been a much better dress for D of Sussex’s debut. A very flattering dress on Marie. Pretty, flattering colour, perfect length and lovely style which flatters Marie's figure - a nice change.